For most families, the garden is other the dream place of only one member. Whether it’s Nan’s cottage dream or your partner’s bbq playfield, the garden often makes only one member of the family happy. It’s time to stop this phenomenon and to unify the whole family around the concept of a beautiful outdoors field. After all, a garden can be many things, and it certainly doesn’t have to fulfil the dreams of only one of you when it can offer what everyone needs. Here’s how to make the most of it for everyone. For a start, it’s good to remember that your garden is worth the effort you will put in it. As a natural extension to the house, it is a place that offers entertainment, relaxation, and natural sunlight. These are plenty of excellent reasons why you should take care of your garden! When you start considering garden work, do make sure to compare the time you intend to work on it and the time you will spend enjoying it. Most gardening projects don’t take longer than a couple of days, which is nothing compared to the rest of the year. But you need to be aware of it: Your garden has a lot to give, if, and only if, you agree to give some of your time first. Think of your garden as you would of a room in your home. Start by getting the basics right to set the ambience in the garden. We are talking essential treatments at this stage, so there’s nothing fancy. It’s about giving your garden the proper lighting system – solar powered LED floodlights are, for instance, a great option to keep a lit garden when it’s dark in the evening – and providing the appropriate care. Sturdy and functioning garden furniture, such as a garden bench or a table, will also set the mood. In short, you won’t appreciate your garden during the warmer months if your furniture has been damaged by the weather in winter. When it comes to loving the garden, children are often the first to get excited about it. And this can be expected as they love to explore and discover the world around them. So, if your garden is big enough, you should definitely consider growing vegetables. It’s a new experience for children, and it’s the best way to get them to eat their greens! If your children are old enough – this will be in the age of going to primary school – you can keep them interested in the garden with the addition of a pond with fishes. A fishpond will need oxygenators, which are plants that create oxygen, to create a friendly environment for fishes. 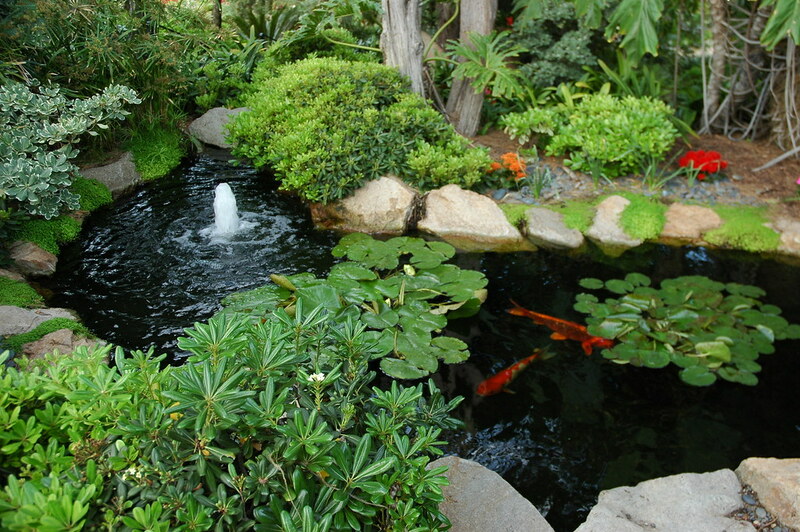 The most common fishpond is from the goldfish family and will help to keep the pond clean. However, if you are planning a large pond, you can use carps too. What do adults need to love their garden? An easy maintenance and good-looking area, it’s all they need. Opt for a chamomile lawn while will never need mowing, for instance. And look out for colourful plants that survive most temperatures, such as most rose bushes and lavender bushes. And ta-da, a beautiful garden made simple!